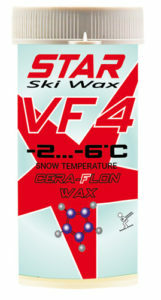 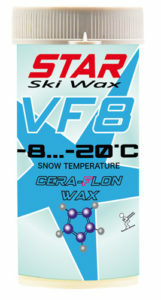 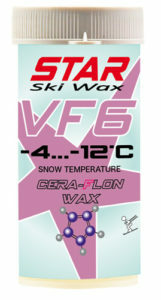 The abbreviation VF means VERY HIGH FLUOR and identifies the products of the STAR CERA-FLON WAX line with a very high content of fluoroceramics. 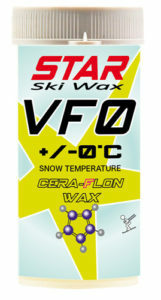 These products can be used on all very wet snow with a wide range of temperatures ensuring maximum performance even over long distances. 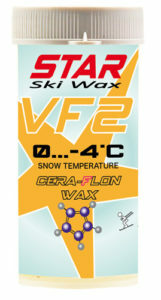 are excellent when used alone but they give the best results if covered with products from the line F 100% fluor.